Bob is a native of Norwalk where his family has lived for generations. He knows how to sell the area to prospective buyers and to gain the confidence of sellers. He is a graduate of the Norwalk Public Schools and has a degree in political science from Lynchburg College in Virginia. Prior to joining William Pitt Sotheby's International Realty he spent some time as a long-term substitute teacher in the Norwalk school system. Bob, currently working inthe Norwalk office of William Pitt Sotheby's International Realty, is now in his fourteenth year with the company. Since his fourth month in the business, he has consistently been recognized as a top producer and was "Rookie of the Year" after only 11 months. Each year since, Bob is still a leader in both his office and a company of over 600 real estate professionals. He was also asked to manage the 35 sales associates at the Old Greenwich office in 2011 and has since returned to Norwalk to fully concentrate on his growth with Sotheby's. In order to further serve his clients with excellence, he has taken a number of training programs inside and outside of William Pitt Sotheby's International Realty. Bob holds the "Luxury Property", "New Homes and Land" and "Relocation" specialist designations. In addition, he underwent the rigorous demands and is a graduate of Floyd Wickman's "Sweathogs" program and Steve Woodruff's "Consulting Sellers Successfully". Community service is paramount to Bb and he is involved in a number of worthwhile causes. He is a State Senator; a board member for Elderhouse, an adult day care facility; the Norwalk Huma Services Council; and the Norwalk Land Trust. He was also a facilitator for new William Pitt associates, training them on such topics as "Getting Started in the First 90 Days", "Successfully Showing Homes to Buyers" and "Time Management". "I feel Robert Duff went above and beyond the service that Realtors provide." - Carol D.
"One of the best real estate agents that I have worked with." 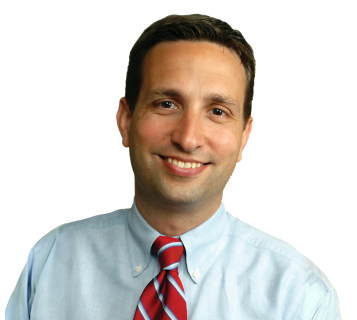 - Robert W.
"Bob Duff is professional, knowledgeable, personable and a person of integrity." - Jennifer A.